Henry Moret | Stoppenbach & Delestre Ltd.
Henry Moret was born in Cherbourg in 1856. He studied in Paris in the studios of artists Jean Léon Gérôme and J. P. Laurens, at the Ecole des Beaux-Arts. He was initially influenced by Impressionism (to which he later returned), but in 1888, along with Maxime Maufra, Emile Bernard and Paul Sérusier, Moret joined Paul Gauguin in Pont-Aven where he developed a distinctive style, associated with Synthetism. Characterised by the use of flat areas of colours delimitated by bold outlines, this art movement perfected a more subjective approach to the subject-matter. 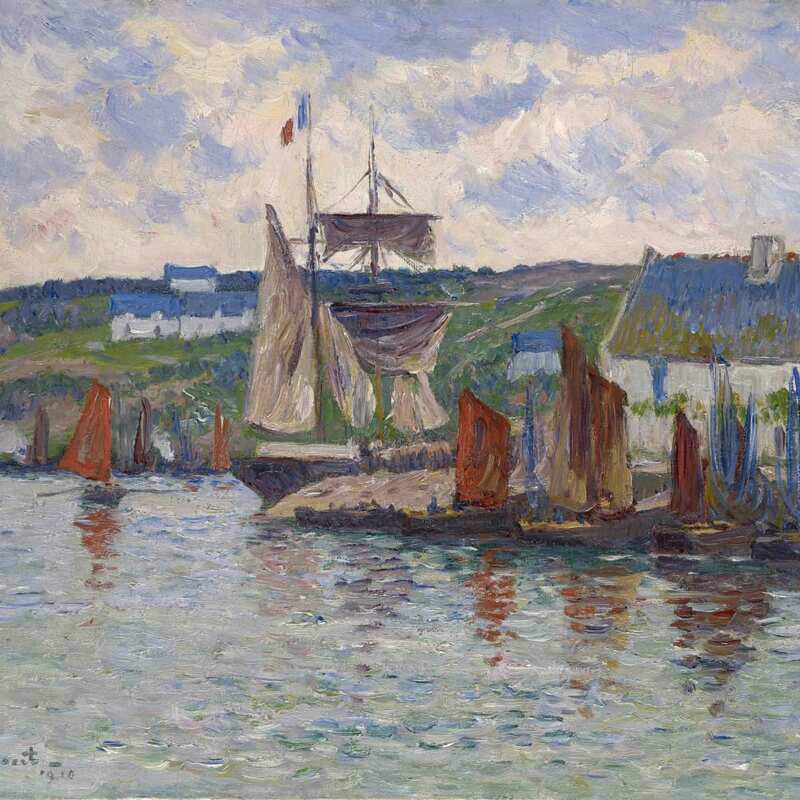 Particularly interested in depicting the everyday lives of the villagers, Moret from 1896, was firmly installed in Brittany, in the port of Doëlan. 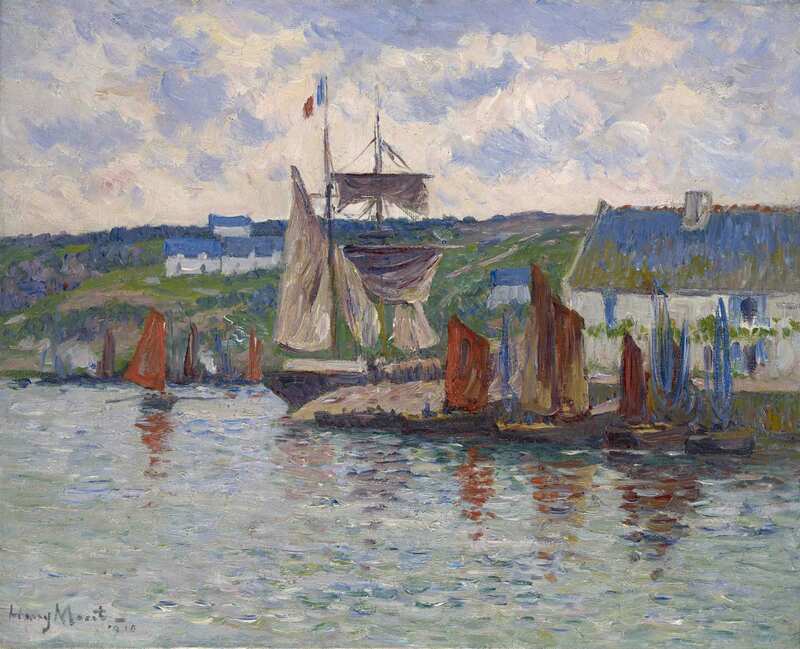 He was to spend the rest of his life in Brittany and became known for his paintings of this area. 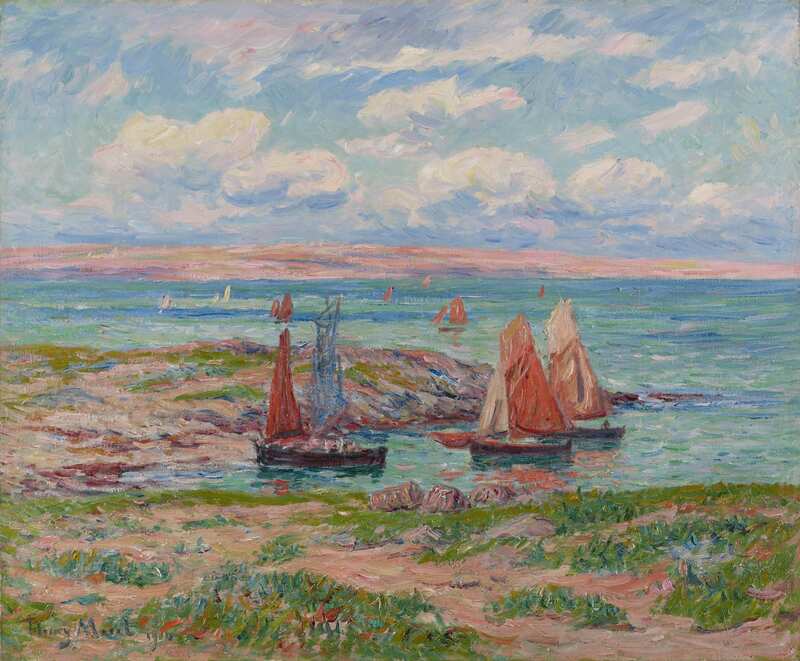 He focused on depicting the coastline and people of Brittany. He came to Paris only to show his paintings at the Salon d'Automne and to meet his dealer Durand-Ruel who regularly exhibited him from 1895 onwards. To be exhibited by Durand-Ruel was a privilege to which many artists aspired. Durand-Ruel and Moret were on good terms, and they kept in close contact throughout the artist’s life. 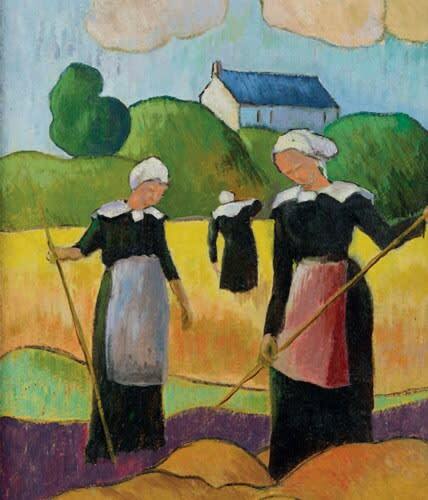 In 1893, Moret participated in the Exhibition of Impressionist and Symbolist painters at the Barc de Boutteville. 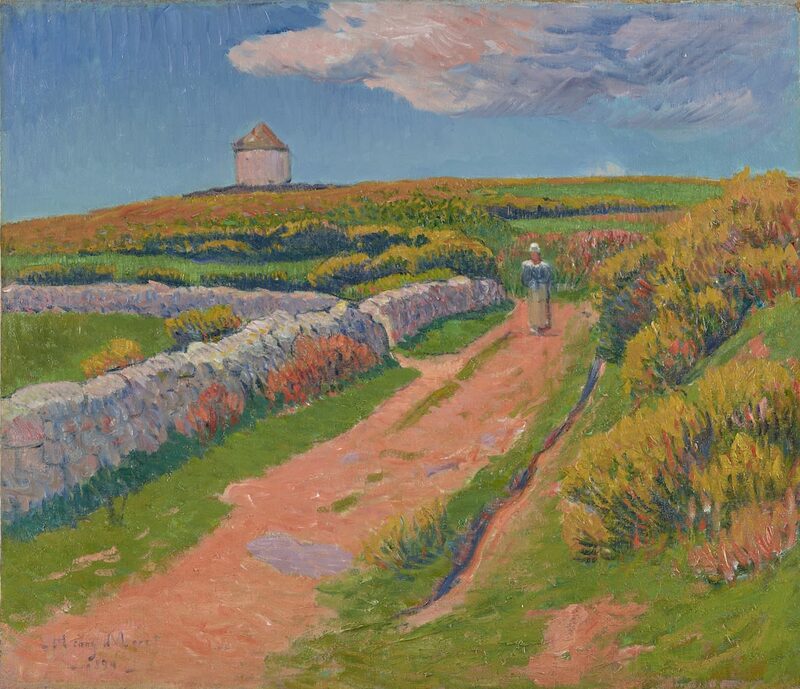 As time went by, Moret developed a more impressionistic style, furthering a more naturalistic approach to landscapes.